High performing special combined machine for complete door panel processing. Doormatic Machine for simultaneous lock and hinges processing. 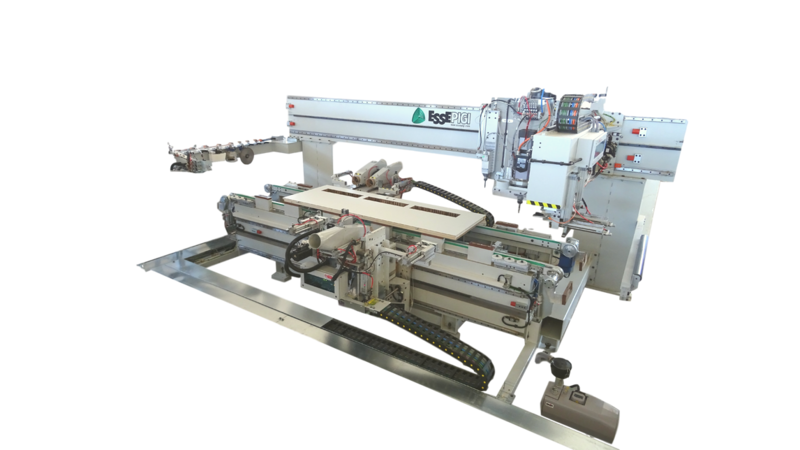 Bridge unit (top machine) for CNC operations as contouring, cutting in length, window opening, pantograph operations, etc.